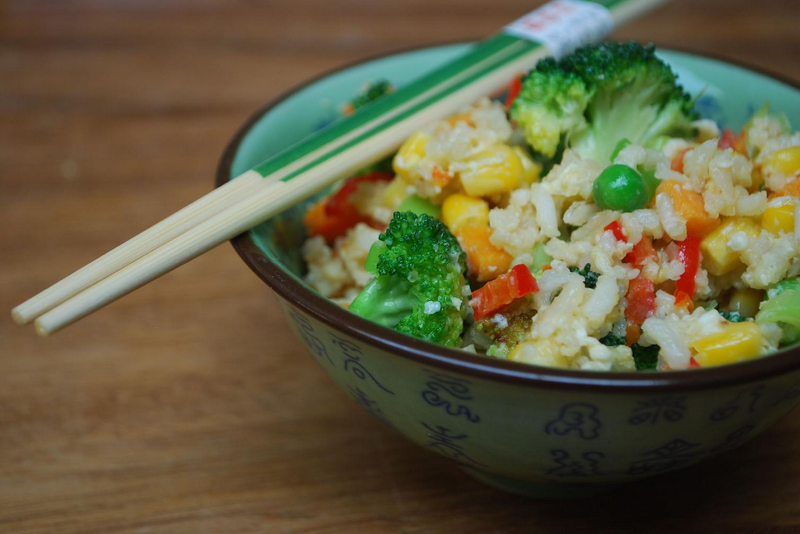 This is a delicious and uncomplicated recipe that you can really easily adapt to your taste. 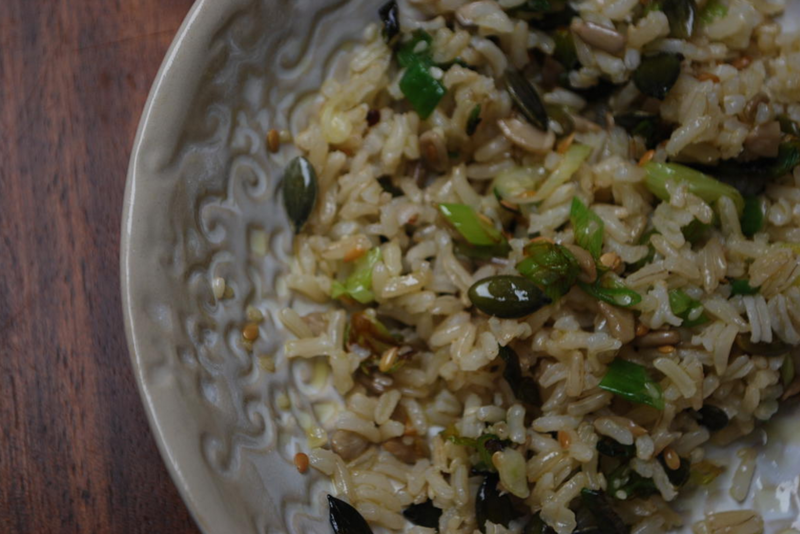 Add different nuts and seeds but this is the way I like it, plus pumpkin seeds are full of good oils. 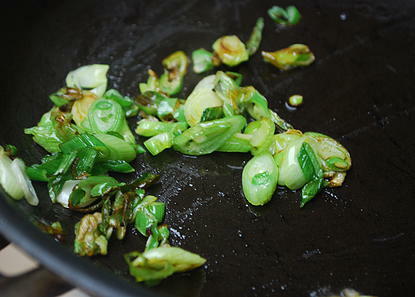 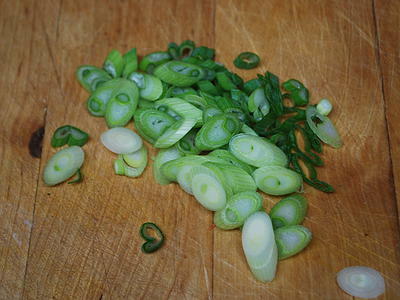 Heat a little oil in a small saucepan and when warm add the spring onions and fry until softened. 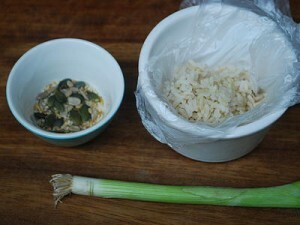 Stir though the rice and sprinkle over the seeds. 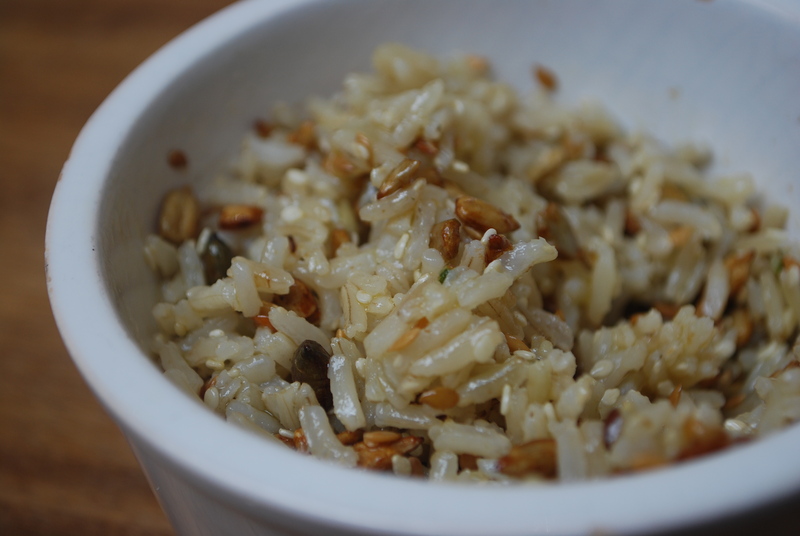 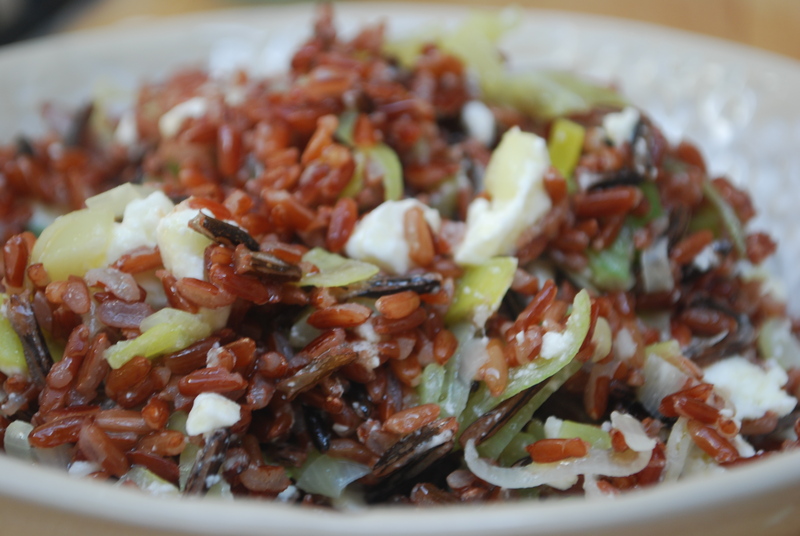 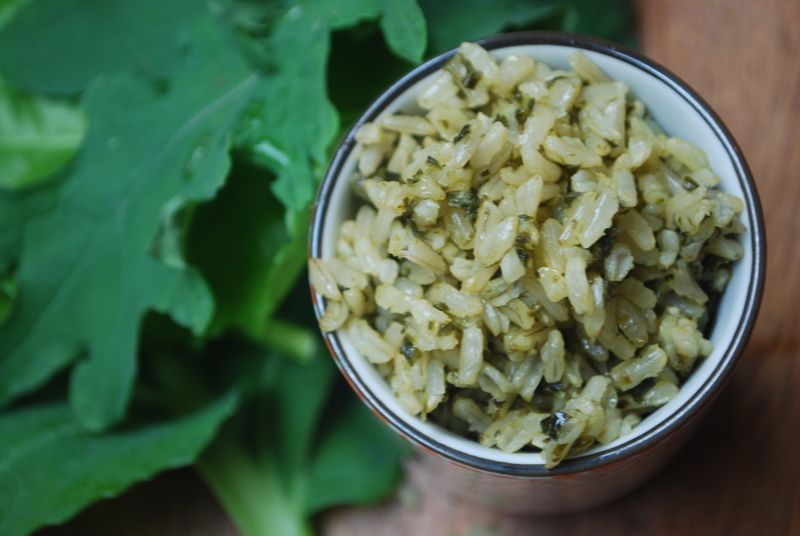 Drizzle with some olive oil to coat the grains and serve.